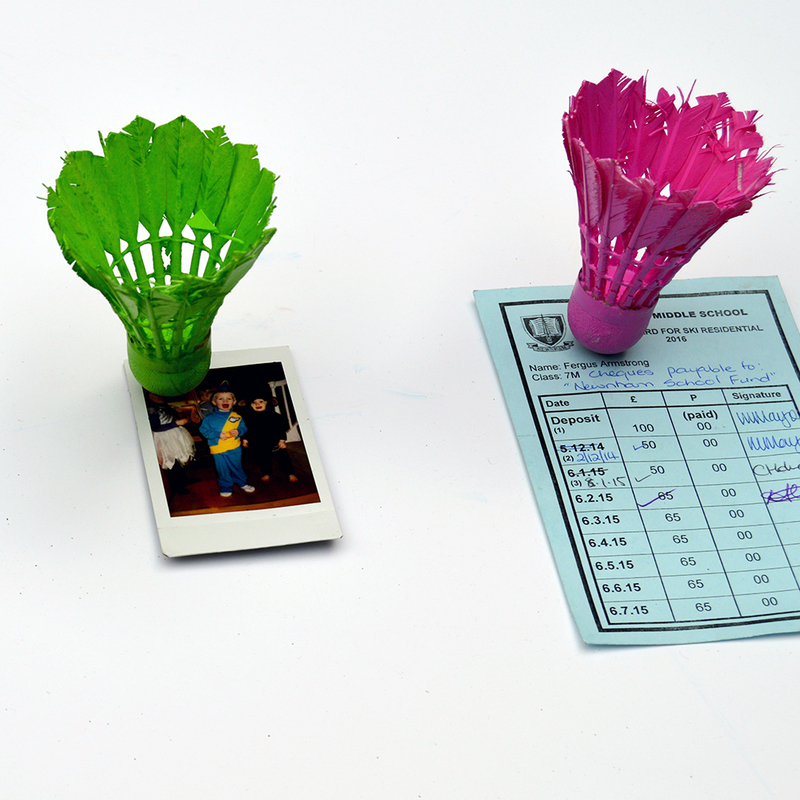 Upcycled Badminton Shuttlecocks: What can you do with a feather shuttlecock besides play badminton with it ? Almost every night of the week someone in my household plays badminton, whether its family nights, club nights or county level. Often they play with feather shuttlecocks. If you don’t play badminton you may not be aware that the feather shuttlecocks don’t last long. In a game players can get through quite a few of these feather birdies. Therefore I have bags full of old shuttlecocks in my house. I already keep many redundant things to re-purpose and upcycle such as denim, wool and interesting packaging. Therefore I thought surely there must be something I can make with all these feather shuttlecocks. This actually proved to be much a harder task than I initially thought and I really struggled to think of things to make with the old shuttlecocks. Anyway here is what I managed to come up with for my upcycled Badminton shuttlecocks. 1.Fun Upcycled Badminton Shuttlecock Fridge / Pin board magnet. It is so easy to make a magnetic pin out of old shuttlecocks. Firstly you cut a small indent out of the cork end of the shuttlecock and then you super glue a magnet into the groove. If you want to funk up your shuttlecock magnetic pin you can spray paint them. My boys all have magnetic pin boards in their rooms and these shuttlecock pins are a fun quirky addition to their boards and very appropriate for a badminton mad house. 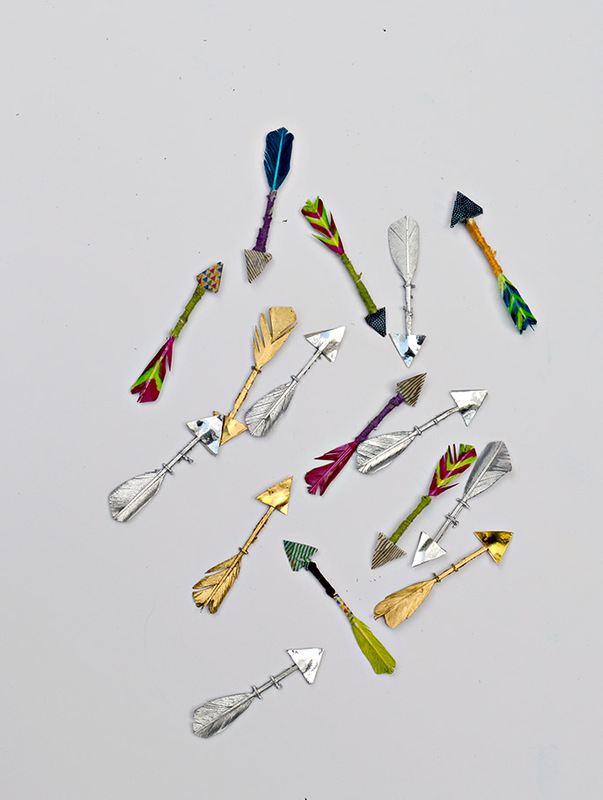 With the shuttlecocks you can make these cute little arrows. 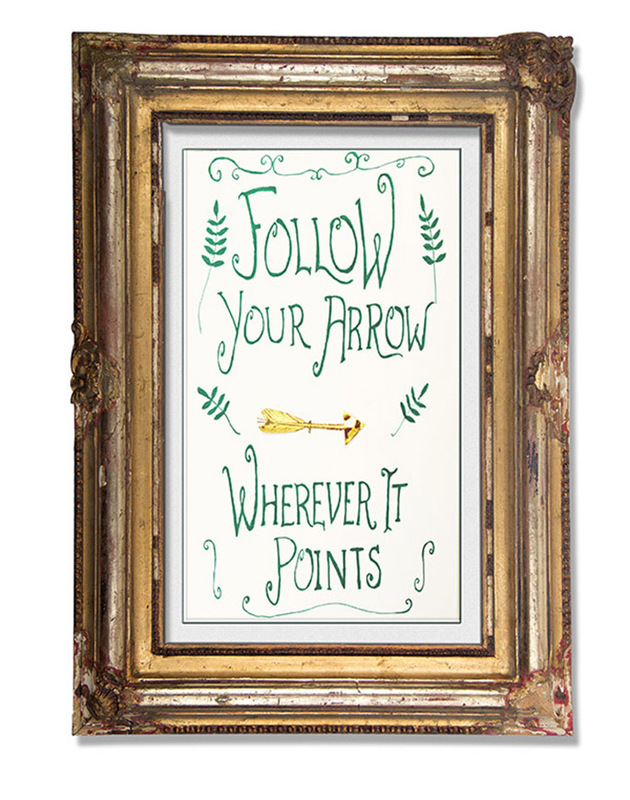 These arrows make a great table decoration. They can be used to make greeting cards and can be added wrapped presents to jazz them up a bit. Dissect the shuttlecocks using a Stanley knife or scalpel and extract the feathers. Paint the feathers using a liquid acrylic paint or a glass/porcelain paint (as feathers are water resistant). 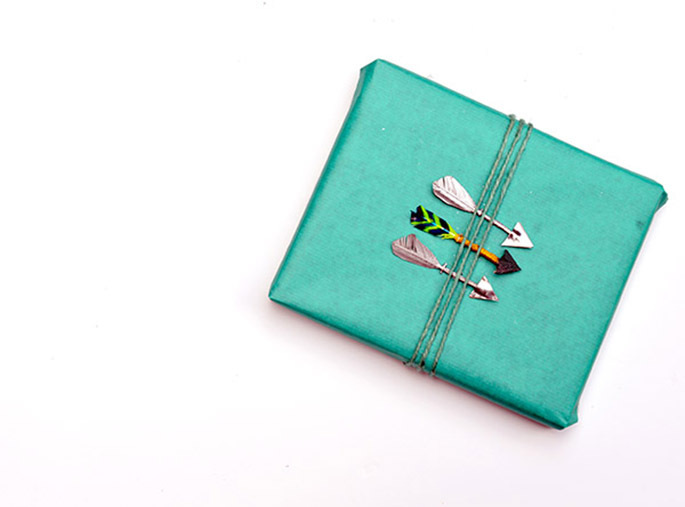 To decorate the stems wrap with washi tape or coloured thread or combination of both. Cut small cardboard triangles out to make arrow head. 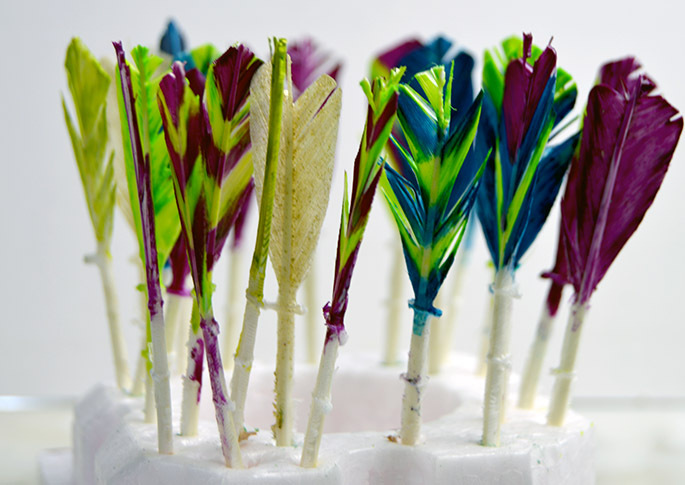 Use 2 triangles per feather arrow and glue together round the end of the feather stem. 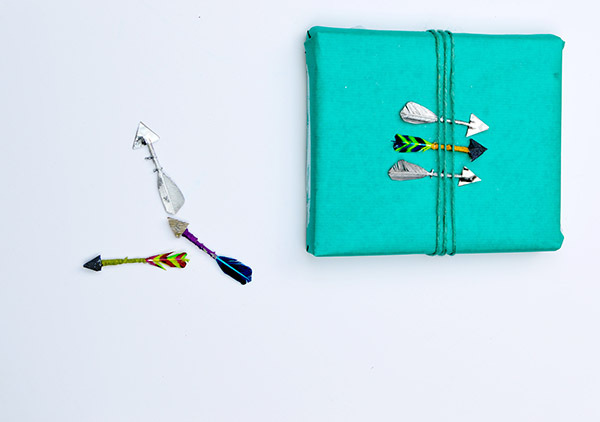 Either use coloured card, paint or cover arrow heads in washi tape. 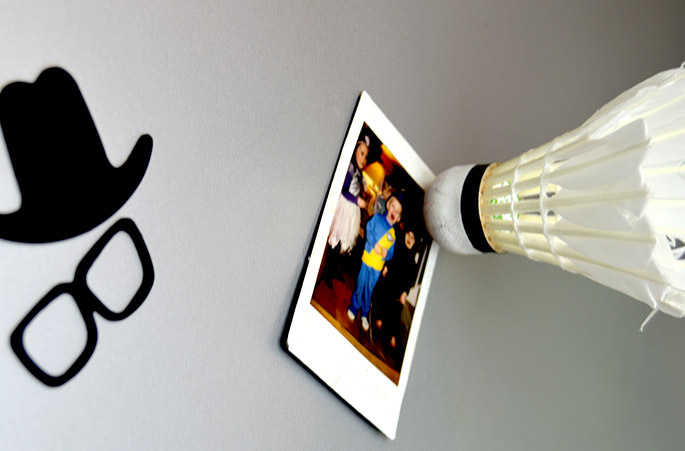 Upcycled Badminton shuttlecocks can be turned into cute night lights by adding little LED lights to cork end. You can buy coloured led lights off ebay really cheaply and glue them to your shuttlecocks, just on top of the cork inside the feather ring. Perhaps combine them with your magnetic pin shuttlecocks, to light up your pin boards. 4. 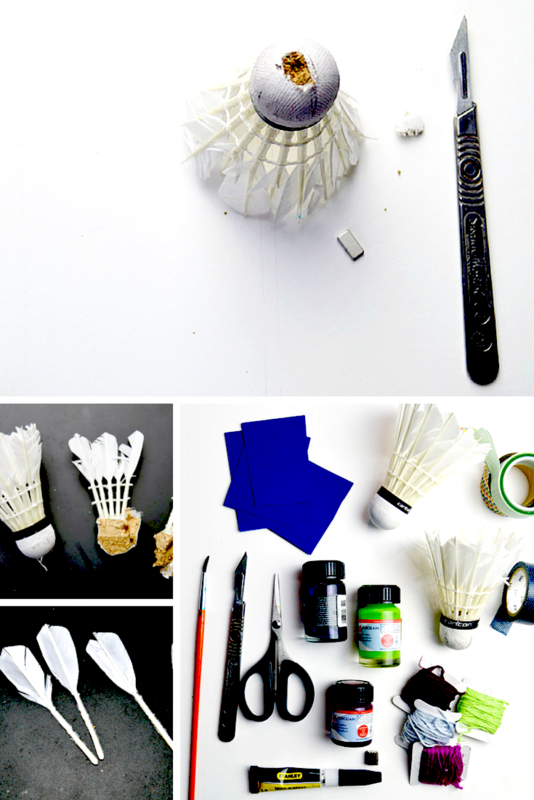 Make an Upcycled Badminton Shuttlecock Angel Christmas decoration. 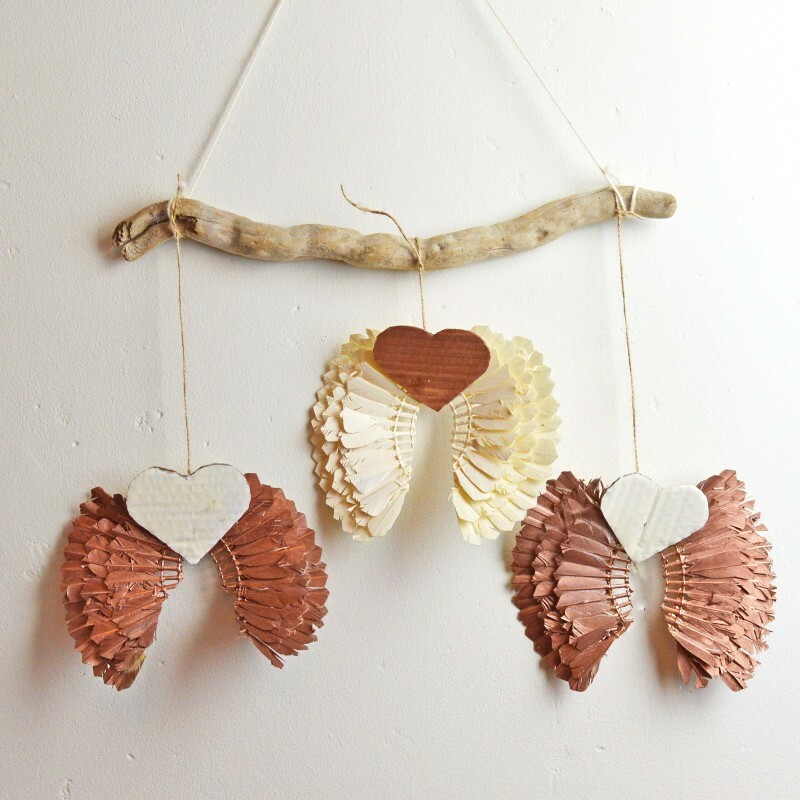 If you click here you can see how I made these adorable angel wing decorations from old shuttlecocks. 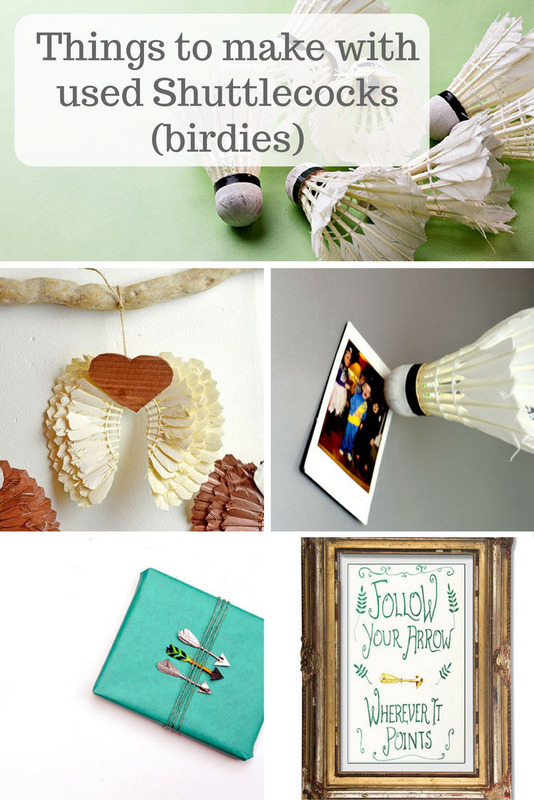 I could not find much upcycling or re crafting of feather shuttlecocks on the internet, I however did come across 2 items. 1. 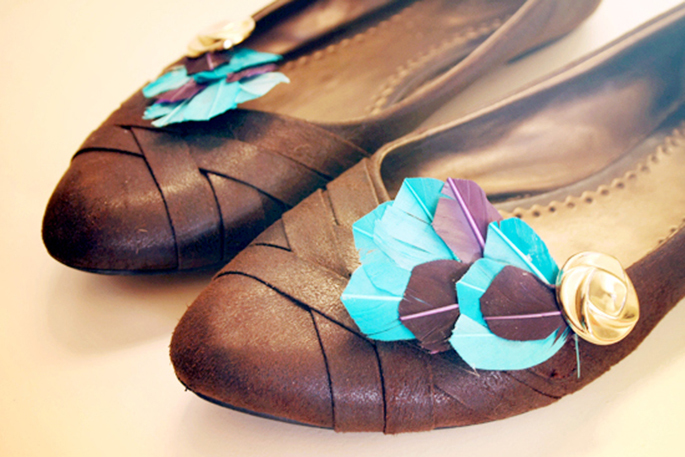 Using the feathers of the shuttlecocks to make a shoe clip decoration (bywilma.com), the same approach could be used to make a broach or earrings. 2. 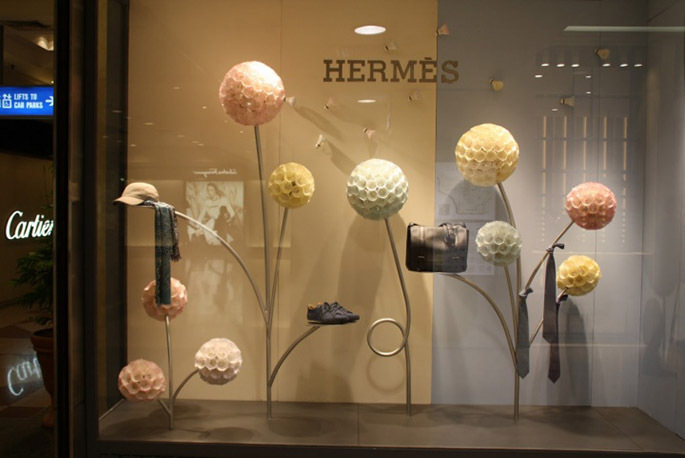 A couple of years ago the Hermes shop in Singapore used shuttlecocks to create some interesting sculptures for there shop display. Details of this can be found on the retaildesignblog. As you are probably aware badminton is hugely popular in Asia, when we visited Bali a few years ago my husband was really impressed that in every village we visited the local temple doubled up as a badminton court. Also when we stopped in a sports bar for a drink one evening, badminton was the sport of choice for the wall to wall video screens. Living in a house that is badminton mad my supply of redundant feather shuttlecocks is endless. If you have any ideas of things I could make from them please let me know. My favorite is the Angel Christmas decoration and i will definitely use this to decorate my house this Christmas and hope you will be posting many more Christmas ideas. Thank you, Harry. I’m starting to think about my Christmas crafts for this year and plan to post a load in October and November. Make Christmas decorations! Shuttlecocks are easy to make into angels! Snip the feathers of down to the top of the first horizontal holder. Clip on the ball bearing type key ring chain and you have a simple key ring. Wrap through the gaps some coloured cotton to colour it up. Thank you, Paul. I will try that and make key rings for all the boys. We still have a load of shuttlecocks. These are great ideas! Thank you! Thank you ! If you have any ideas yourself I would love to hear them. I’m always looking for more shuttlecock ideas. I think it’s the responsibility of the badminton world as a whole to come up with some sort of use for old feather shuttles. Just think how many we get through across the planet, and most of these are just disposed of. It cannot be good for the environment! As for household uses, maybe you could try doing something with specifically just the cork (pincushion/big piece of art) or just the feathers (stuff your own pillows?). All the ideas on this blog are lovely! Thank you very much ! Yes I agree with you it’s a shame the life of a feather shuttlecock is so short. I’m constantly on the look out for new ideas to reuse them. Omg this is so perfect I play badminton almost every day as well and was looking for stuff just like this! do you know any other places where I can find ideas? Thank youuu! Thanks! I don’t know any more but if you find some let me know, we have hundreds of shuttlecocks. Good luck with your badminton. 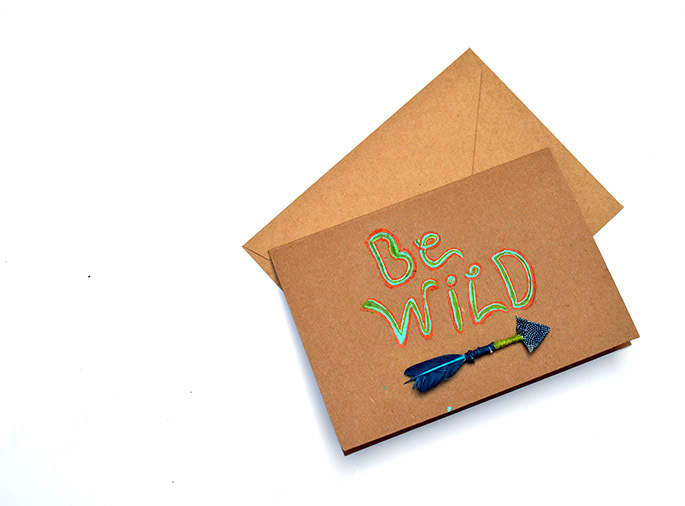 I love the fridge magnet idea and the feather arrows. Thanks. Unfortunately they doesn’t use many shuttlecocks so I’m now thinking about some big lamp chandelier thingy.